Situated along the A21 road between London and Hastings, Bromley is but a quick rail service away from central London. It makes the area ideal for commuters, but there’s more to it than that. Bromley also makes the list of the top ten safest places to live in London. So if the safety of your family is one of your main concerns you may want to check out all the local area has to offer. Here at Edward Ashdale, we understand putting your family first is key and will be happy to show you all the latest houses for sale in Bromley that will best suit your needs. If you want to get started click here to see the latest listings or read on to find out more about the area. 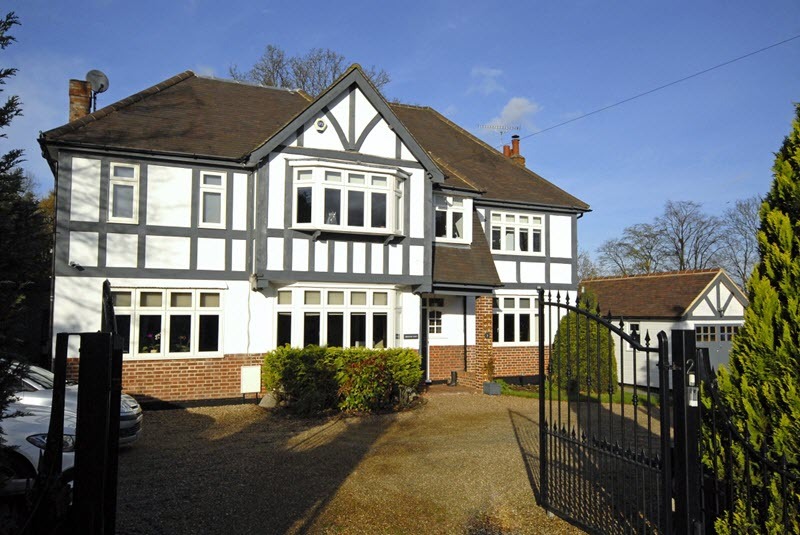 Amazing state schools are a big draw for families considering beautiful Bromley. Highlands and Valley both have outstanding reviews from Ofstead. In fact the government education watchdog rates several area primary schools as being very good including St, Mark’s CofE, St. Joseph’s RC, Scotts Park, Raglan, and Parish CofE. Parents concerned over recent issues with new tests for Level 6 Sats will be pleased to hear that the latest results show Bromley Primary Schools improved considerably, moving up from 9th place (in 2015) to tie with Richmond on Thames for 3rd in 2016. Other Bromley schools also receive Ofstead outstanding rankings: the local comprehensives Buller’s Wood, Langley Park Girls, Langley Park Boys, Bickley Park, Braeside, Bromley High, and grammar schools Newstead Wood, and St. Olave’s and St. Savior’s. We’ll be happy to help you with more information about houses for sale in the catchment areas for any of these high performing Bromley schools. The pedestrianized high street features a surprising diversity of great shops, and friendly pubs. On Thursdays, Fridays, and Saturdays the bright and inviting open-air street market adds to the happy bustle. The high street area also has the indoor shopping centre, Intu, and the large Central Library. Bromley Borough’s fourteen libraries offer several reading groups for younger children and teens, regular children’s events and programs, as well as holiday activities like the Summer Reading Challenge. For children and adults who love outdoor sports, there's open-space playing fields and parks, several golf courses, and the Bromley Cricket Club -- one of the best in the country. The upgraded Pavilion Leisure Centre offers bowling, a gym, pool, and fitness centre. Bromley Football Club hosts a term-time Saturday Morning Soccer School, coaching boys and girls ages 4-12 in football on their super-safe 3G rubber crumb pitches. While a number of cycling enthusiasts claim that Bromley is a nice bicycle commute, most commuters prefer to use one of the many railway stations for non-stop services to the city-centre and commute times are as low as 20 minutes. The express train from Victoria to Bromley South Railway Station is about 16 minutes and offers you the opportunity to shop at Waitrose on the way home. If you prefer Sainsbury’s, then take a look at homes around Bromley North Station. Commuter rail trips over London Bridge from Bromley North to Charing Cross Station are only 32-47 minutes. A comprehensive system of bus services winds their way through the area, connecting to destinations beyond the borough. The recent London Overground extension offers links to Croydon, East London, and the London Underground Network. Access to public transportation is abundant and convenient for easy access to Central London and beyond. Detached house with 4 bedrooms -- £479 per sq. ft. – average sale price £852,222. Semi-detached house with 3 bedrooms -- £465 per sq. ft.—average sale price £556,118. Terraced house with 2-3 bedrooms -- £445 per sq. ft – average sale price £421,719.. The Bromley real estate market is robust, with high demand and short supply driving prices. Typical property turnover rates mean it’s about nineteen years before a house comes back on the market again – houses in Central London turn over twice as fast – but families moving to Bromley tend to stay in Bromley. So come and make Bromley your family's home. Contact us here at Edward Ashdale for more information or click here to see all the latest houses for sale in Bromley right now and let's help you find your dream family home in no time. Looking for a 3 bedroom house in Bromley? Check out these options.